Stella Grimm has a reputation for being a dignified and highly formal individual, and is well-respected in her community. Many people fail to see the scheming personality that lurks beneath her guise of polite words and flattery. Stella harbors a cold contempt for most of her so-called friends, and doesn't have any problem with sabotaging her co-workers' careers to get a pay raise. She takes great pride in maintaining dispassionate friendships and showing false modesty. One friend did know exactly how little Stella cared about her, and decided to try and humiliate her. After getting Stella drunk, her friend took her along to a tattoo parlor down the street. Stella claims to have no regrets about the tattoo on her shoulder, but usually keeps it covered, and after the incident, she never spoke to her friend again. No one is exactly sure how old Stella is, and she prefers to keep it that way. 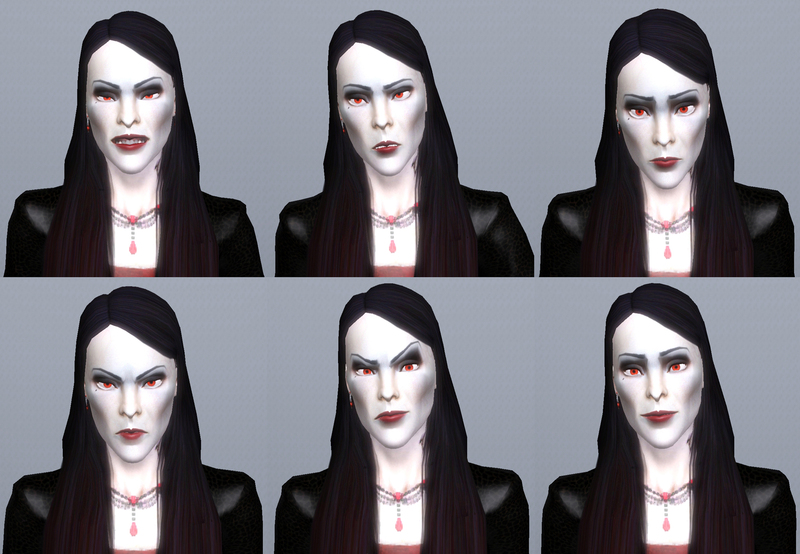 Rumor has it that her original reason for becoming a vampire was simply vanity. As time goes on, she is beginning to realize the other advantages that come with vampirism. Her newfound abilities make intimidating her rivals no problem, and sweet-talking her way into the confidences of others is now laughably easy. Stella has always been ambitious. After getting a taste of fame through a few celebrity friends, she only hungers more for a life of wealth and influence. Perhaps someday she'll even be the head of her own corporation. Of course, fame comes with a price, and Stella is willing to do whatever it takes... especially at the expense of others.